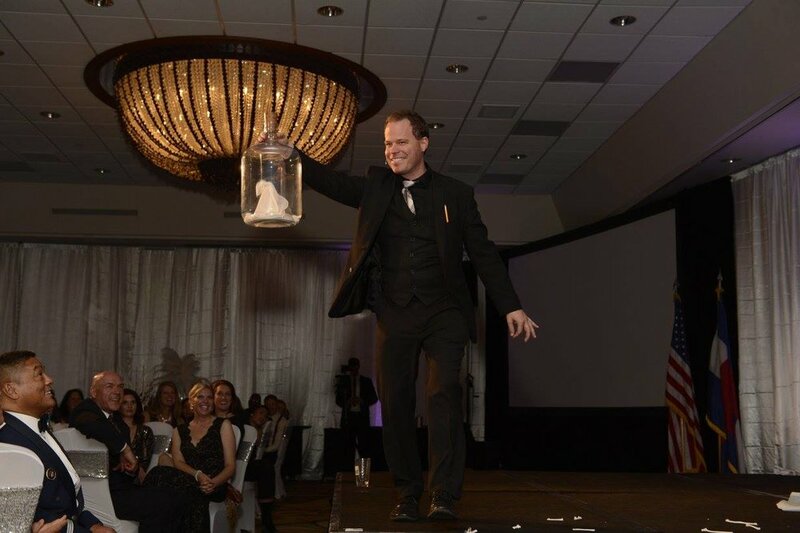 Matt Marcy is a professional magician, comedian, emcee and keynote speaker who's spent the last 20 years amazing and inspiring more than 3,000 audiences around the world with his own style of conjuring that leaves audiences laughing and gasping in astonishment! There are no bunny rabbits, tuxedos, or cheesy old jokes in his show; instead, Matt creates unique moments for each audience filled with miracles and laughter that will stay with you long after he's gone. Explore the rest of this site to learn more about the experiences Matt creates for his audiences. You can watch performance videos (all of the footage is from REAL shows and all of the reactions are from REAL audiences), read quotes & testimonials from past clients, learn about his motivational keynote speaking options, check out his resume, bio, and the merchandise he has for sale, and find more details on the various shows he offers. Or, just click the button below to discuss your next event with Matt and find out how he can provide an unforgettable and astounding experience for your guests; he'll be happy to chat with you about options and send over a no-obligation quote. "A formidable talent...inventive, charming, and polished." Why not take a moment to subscribe to my newsletter? You'll get occasional info on upcoming shows, Magic Castle passes, new merchandise, show discounts, new magic videos, and other exciting news! Your information is safe and will never be distributed.